Shortcross Gin is “Gin of the Month” in March 2016 with the esteemed gin lovers members club – Craft Gin Club. We wanted to offer members something a little bit different and we thought what better than to offer them the option to “Grow your own Garnish”. The cocktail scene has definitely followed the food scene and provenance and traceability of ingredients are certainly becoming more important in the world of mixology. 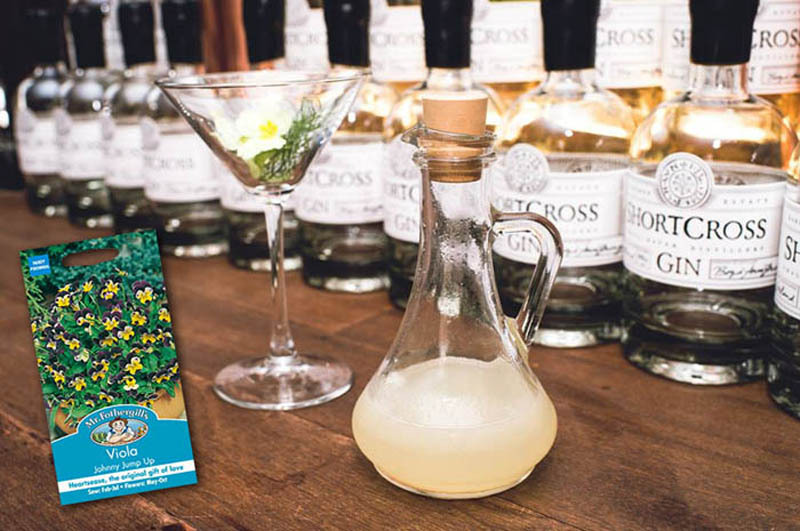 As discerning gin drinkers, we knew Craft Gin Club members would want to get involved in growing edible flowers for their Shortcross creations. The flowers we chose from Mr Fothergills were to compliment the aesthetic nature of our Shortcross Gin cocktails and to compliment the foraged ingredients in our gin. Our special edition “wild clover” gin is particularly green and floral and we found that the viola’s complimented it particularly well. Maria and Amanda at Mr Fothergills were particularly helpful in selecting the flowers and making the process smooth and enjoyable – in a particularly busy and otherwise hectic period here at Shortcross HQ! We can’t wait to see the results of the beautiful viola’s in bloom!